A communications satellite destined to serve the Indian military is set to blast off from the country’s east coast Wednesday aboard a Geosynchronous Satellite Launch Vehicle on the seventh and last launch of the year for the Indian space program. The GSLV Mk.2 is scheduled for liftoff at 1040 GMT (5:40 a.m. EST; 4:10 p.m. Indian Standard Time) Wednesday from the Second Launch Pad at the Satish Dhawan Space Center, located on Sriharikota Island on the Bay of Bengal approximately 50 miles (80 kilometers) north of Chennai. The 26-hour countdown began Tuesday, and ground crews took steps to fill the rocket’s second stage and four liquid-fueled boosters with storable hydrazine and nitrogen tetroxide propellants, according to the Indian Space Research Organization. In a reversal of the design of most launchers, the GSLV’s core stage burns pre-packed solid propellant, while its strap-on boosters consume liquid fuel. The GSLV’s cryogenic third stage was scheduled to receive its load of super-cold liquid hydrogen and liquid oxygen in the final hours of the countdown Wednesday, ahead of liftoff of the 167-foot-tall (51-meter) rocket on India’s seventh launch of the year. Several propulsion upgrades are flying on the GSLV Mk.2, including the second Indian launch with a High Thrust Vikas Engine on the rocket’s second stage. The second stage also employs electromechanical actuators powered by lithium-ion batteries, replacing hydraulic systems used on past missions. 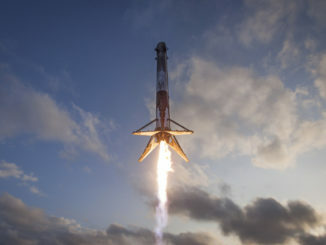 The technology change will make the rocket more reliable, Indian officials said. The second stage enhancements first flew on the GSLV Mk.2’s most recent launch March 29, but Wednesday’s mission will be the first to fly with an upsized cryogenic third stage, modified to carry 33,000 pounds of liquid hydrogen and liquid oxygen, around 6 percent more propellant than earlier GSLV Mk.2 third stages. That means the third stage on Wednesday’s launch will fire more than a minute longer than the burn time on the previous GSLV Mk.2 flight in March, providing more lift capability for the rocket. The GSLV Mk.2 will fire its liquid-fueled boosters at T-minus 4.8 seconds, run the strap-on Vikas engines through a health check, then command the solid-fueled core stage to ignite and propel the rocket off the launch pad. Flying on nearly 1.8 million pounds of thrust, the GSLV Mk.2 will turn east from the Indian coast and climb into space over the Bay of Bengal. Its four boosters and core stage will shut down and drop into the sea around two-and-a-half minutes into the mission. 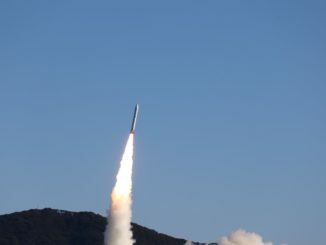 The second stage’s Vikas engine will take over and burn for around 2 minutes, 20 seconds, producing around 190,000 pounds of thrust — 6 percent more than the older Vikas engine design. The GSLV Mk.2’s metallic payload shroud will jettison during the second stage engine firing, revealing India’s GSAT 7A communications satellite once the rocket ascends into space. The third stage’s engine will ignite at T+plus 4 minutes, 55 seconds, at an altitude of 82 miles (133 kilometers). The cryogenic engine will do the rest of the work accelerating GSAT 7A into its planned orbit, and shutdown of the third stage is expected at T+plus 18 minutes, 57 seconds. The 4,960-pound (2,250-kilogram) GSAT 7A spacecraft will separate from the GSLV Mk.2’s third stage at T+plus 19 minutes, 12 seconds. The GSLV Mk.2 will deploy the GSAT 7A satellite in an elliptical geostationary transfer orbit ranging between a low point of 105 miles (170 kilometers) and a high point of at least 20,623 miles (33,190 kilometers), although the rocket could place the payload in a slightly higher orbit, according to an ISRO brochure released for Wednesday’s launch. GSAT 7A’s on-board engine will maneuver the satellite into a circular geostationary orbit more than 22,000 miles (nearly 36,000 kilometers) over the equator. 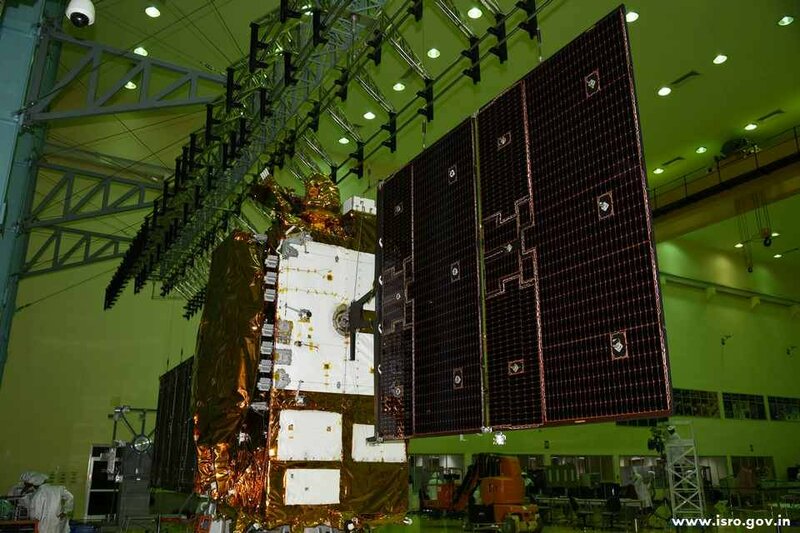 The Times of India, a major English-language newspaper in the country, reported that GSAT 7A will serve the Indian Air Force by connecting ground radar stations, airbases and airborne command and control aircraft. GSAT 7A will also support Indian Air Force drone operations, helping convert the military’s remotely-piloted aircraft from ground control to satellite control networks. The upgrades to the Indian military’s drone control infrastructure comes as India acquires U.S.-built satellite-controlled drones, including armed Predator B or Sea Guardian drones capable of high-altitude, long-endurance missions, according to the Times of India. 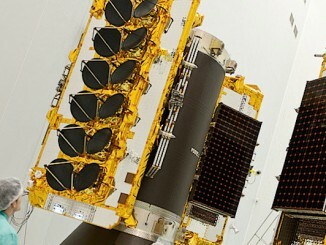 GSAT 7A was preceded by the GSAT 7 satellite launched in 2013. It was built to provide communications for the Indian Navy. In a press brochure released for Wednesday’s launch, ISRO said GSAT 7A will provide Ku-band communications services over India during an eight-year design life. The spacecraft’s solar panels will generate 3.3 kilowatts of electrical power once unfurled after launch. Wednesday’s mission will mark the seventh launch of a GSLV Mk.2 rocket with an Indian-built cryogenic upper stage since 2010. Five of the six GSLV Mk.2 flights to date have been successful, after a failure on the rocket’s maiden launch in 2010 that Indian officials blamed on a pump failure on the upper stage.